What the attorneys general in Massachusetts and Delaware alleged as “unfair” auto financing is going to cost Exeter Finance a little more than $6 million in payments back to customers and state penalties. Healey explained this assurance of discontinuance, filed in Suffolk Superior Court, includes $4.675 million that will be available to provide relief to harmed borrowers and an $825,000 payment to the state. Healey also said Exeter will also waive deficiencies on certain installment contracts and will ask the major credit bureaus to wipe all trade lines for involved installment contracts on consumers’ credit reports. Healey said her office worked collaboratively with the Delaware attorney general’s office on this investigation. Delaware attorney general Kathleen Jennings announced her state’s settlement with Exeter includes $550,000 to provide relief to customers in Delaware. And like in Massachusetts, Jennings indicated Exeter will also be waiving deficiencies on certain subprime installment contracts and will be asking the major credit bureaus to wipe all trade lines for involved contracts on those consumers’ credit reports. Jennings added, “Protecting consumers from unfair lending practices is extremely important. Today’s settlement with Exeter provides monetary relief to Delaware borrowers and repairs damaged credit. “Our office will continue to investigate the subprime auto lenders to ensure that Delaware consumers receive a fair deal when they are extended credit to finance a purchase,” Jennings went on to say. Both AG offices alleged that Exeter facilitated the origination of auto financing in Massachusetts and Delaware that the company knew or should have known were unfair and in violation of the state consumer protection laws. Officials explained courts have held that lending is unlawful under the statute if finance companies do not have a basis for believing that borrowers will be able to repay their loans in normal course. Healey went on to mention Exeter also allegedly mishandled servicing and collecting activities in violation of Massachusetts’ debt collection regulations. These settlements are part of what Healey and Jennings said are reviews of securitization practices in the subprime auto finance space — an investigation that remains ongoing. 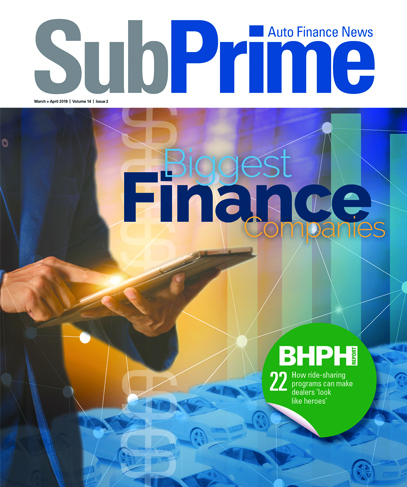 Previously, their offices secured nearly $26 million from Santander Consumer USA for its role in subprime auto financing.